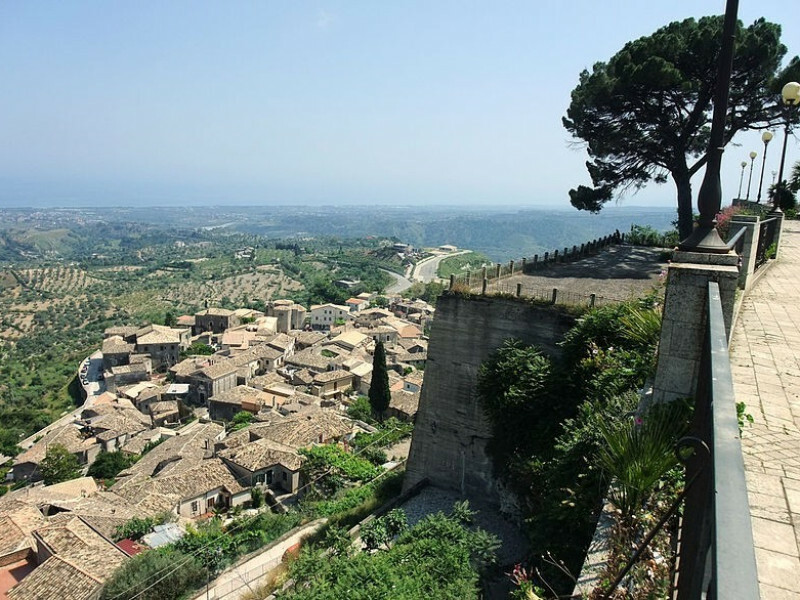 Gerace, a town of 3,200 inhabitants, in 2015 won the 7th place among 20 most beautiful towns in Italy, stands in place perched on a cliff of sandstone which offers a panoramic view over most territory of Locri. Old town still has Medieval setting and falls within the area of ​​Aspromonte National Park. Full of churches, historic houses and rooms that were once houses and workshops dug into the rock, is distinguished by the presence of the ruins of the Castle, its magnificent Cathedral, St. Francis’s Church and a series of smaller churches, probably of Byzantine origin, as well as numerous architectural evidence of different periods and styles. Gerace history is closely linked to the colony of Locri Epizephiri: its settlement, in fact, only develops following the abandonment of the city of Locri. Still strong and tangible, however, the reference to Christianity, both as a diocesan center that widespread presence of churches and monasteries that help to identify the rock itself as a sort of "Holy Mountain". Rich history of the city can be read in the squares, in the alleys, on the walls of houses and historical buildings, on the facades of monumental sacred buildings erected during its long history. Among the gems of the precious historical center, carved stone portals by local stonemasons that, despite nineteenth century restoration followed the earthquake of 1783, are still one of the hallmarks of the town. Twelve doors originally opened in the walls of the historic center, but now have survived only four. Of particular importance is the public space that winds around the Piazza del Tocco, on which they overlooking Calcheopulo Palace, Macri Palace and Migliaccio Palace. Is still possible to admire the great tower of the Castle and some traces of wall, partly built into the rock and partly built overlooking surrounding ravines.